Creating sustainable competitive advantage through unique strategies and effective recruiting. Our core professional staff has extensive experience at the highest level in the communications sector, working with clients to solve complex strategic and management issues. The range and depth of our experience and the versatility of our staff enables CTG to effectively undertake a wide range of assignments. Competitive Telecoms Group (CTG) was founded in 1999, in New York by Jerry DeMartino, (former President of MCI International, the multi-billion dollar subsidary of MCI WorldCom). 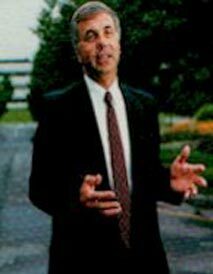 After more than 26 years as a senior executive in MCI WorldCom, holding senior positions in strategy, development, sales, marketing and international, Mr. DeMartino saw the unique opportunity to create an organization of senior executives and affiliates with extensive competitive telecommunications expertise to provide services to carriers throughout the world.